Who says pre-seasonal collections are just the prelude to something more imposing? When it comes to Karl Lagerfeld’s Chanel pre-fall and resort collections, nothing is left by chance, as proven by the latest Chanel pre-fall 2017 collection, too. 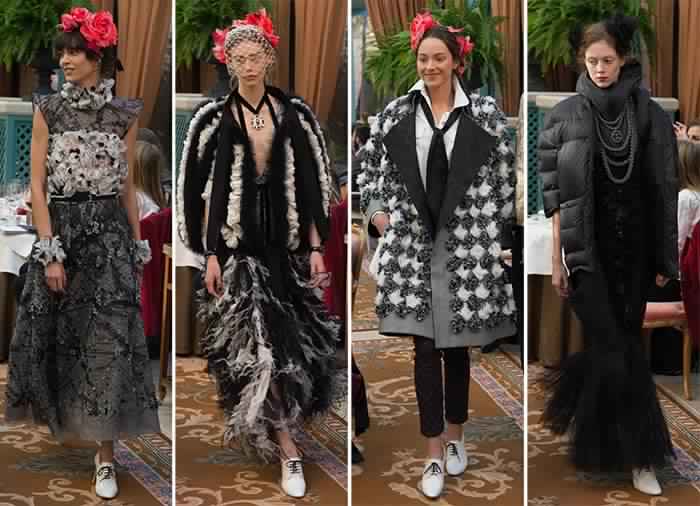 Opulently showcased at the Ritz in Paris, Lagerfeld’s Chanel pre-fall 2017 Metiers d’Arts show was as unapologetically imposing as inspiring, and left those who were attending the runway show in awe. Aside from the astounding Chanel pre-fall 2017 collection’s 78 outfits, which is definitely a jaw-dropping number of looks considering the fact we are talking about a pre-fall collection, Lagerfeld’s approach to the mid-seasonal fashion was about treating both the future customers and the show attendants to something they will never forget. Actually, the runway show was unveiled in three sittings, at lunch, tea, and dinnertime, with the dishes being the Chanel pre-fall 2017 collection’s pieces. 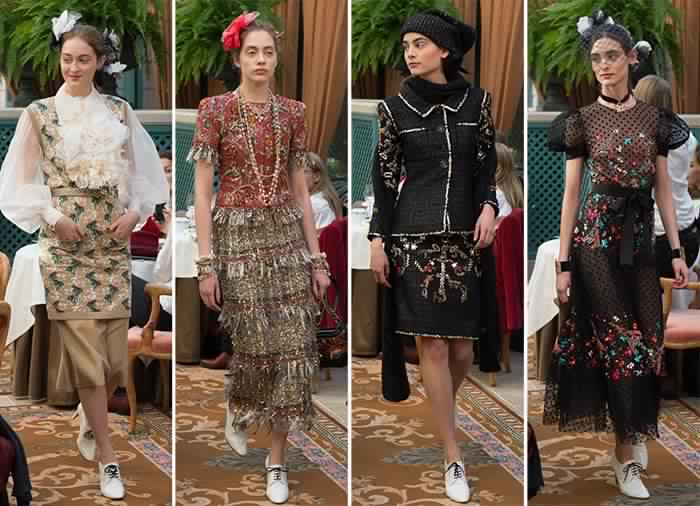 Dubbed “Paris Cosmopolite”, Chanel’s Metiers d’Arts pre-fall 2017 show was all about self-confidence and beauty at its purest, here intended as an ode to diversity and uniqueness. Lagerfeld’s choice of “using” the proposals and thus the models themselves as the dishes was not something he decided by chance either. “You have to walk as if you are walking into a chic restaurant, convinced that you are the most beautiful and chicest woman in the world — which you are,” he explained during a fitting. And just by looking at the models, we instantly get a better idea of what he was specifically looking for. Among acclaimed top models, such as longtime Chanel habitués Cara Delevingne, Lottie Moss and Ellie Bamber, Karl Lagerfeld asked young muses Lily-Rose Depp, Georgia May Jagger, Levi Dylan, Sistine Stallone, and Willow Smith to join the show, with Lily-Rose Depp actually opening the Chanel pre-fall 2017 Metiers d’Arts show. It appears clear Karl Lagerfeld’s willingness to not only focus on Chanel’s younger audience, but also to ignite confidence in any young woman’s heart. As for the actual proposals the models were showcasing, Lagerfeld’s fascination for standard Chanel silhouettes and signature color palette was here undeniable, with the latter being particularly diverse. In a coherent continuum of colors, the line-up began showcasing the softest, brightest shades and prints, only then veering towards their darkest counterparts, wherein elegance and a cool Parisian-infused style still dominated the scene. Each one of the clothes was so romantically dipped into Coco Chanel’s references, even the models felt overwhelmed with such an impressive and ephemerally timeless sophistication and legacy. “Just putting on the clothes, we all felt a little bit of Coco in us,” Alice Dellal told WWD. Behind Lagerfeld’s Coco Chanel-approved sources of inspiration, the ones that caught him most were about the Parisian paths Coco Chanel took, which he transposed to a more modern, urban-chic kind of allure. “For me, it’s a certain idea of Paris: Gabrielle Chanel, the Ritz, the Hemingway Bar. 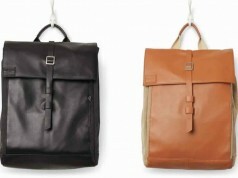 This is the kind of Paris everyone would like to bring back,” the German designer explained. Although most of the garments definitely focused on strictly Twenties and Thirties-inspired motifs, such as Charleston gowns, dropped waists, feathers and boxy cuts, the Chanel pre-fall 2017 collection also featured distinctive contemporary touches of fashion, such as turtlenecks, oversized cardigans and even metallic fabrics, that flawlessly embodied the Ritz Hotel’s opulent and refined designs.